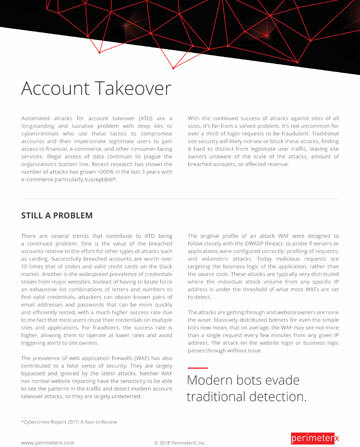 Automated attacks for account takeover (ATO) are a longstanding and lucrative challenge. Cybercriminals use bots to take advantage of stolen login credentials. Bots evade traditional site security protection. It’s not uncommon for more than a third of you login requests to be fraudulent. Learn about the value behavioral characteristics play in determining if the user is human or a bot.